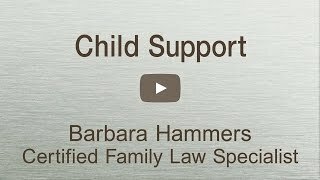 Hammers & Baltazar Family Law Orange County Family Lawyers and Los Angeles Divorce Attorneys. Los Angeles and Orange County family lawyers that solve your problems, not add to them. Our Attorneys outperform on all family law matters including; divorce, property, child custody and support issues. Experienced, effective and ready to help… We know that if you need consult a family law attorney it means that something has gone wrong in your life. You may have been served with divorce papers. Your former spouse may not be complying with a visitation order. You may have lost your job, making support payments impossible to meet. These challenges, and others are stressful enough. Hammers Baltazar will provide legal counsel that will help you solve problems, not add to your difficulties. From a simple mediation to a complex, high net worth trial– we will work with you in the most effective way possible. Our Lawyers are committed to solving family problems. We know that divorce is often too expensive, too lengthy and too limited by the constraints of a traditional family law practice. We help you select the most effective solution; a collaborative settlement, a negotiated mediation, or an assertive trial strategy that protects you and your children. Feeling under represented? Get the attention you deserve. A unique service guarantee, we return your phone call within 24 hours or we pay you. Ongoing case analysis, seeks efficient, cost-effective ways to resolve your problems. Alternatives to litigation, mediation or collaborative law can save you time and money. Personalized service, will shape the legal process around your goals, not ours. Limiting our caseload, so that we can give your matter the full attention it deserves. 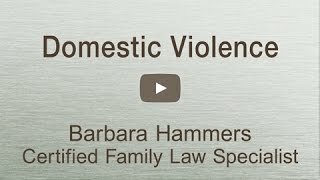 Video Series: Learn little known facts about the ten most important family law issues from Barbara Hammers. Read our attorney profiles. Our successful appellate actions have redefined family law. Why you should hire us. Ten compelling reasons why you can trust us with your matter. Family law practice areas. Essential information that will help you understand the law. Call our West Los Angeles office at (310) 458-0796. Located at 12121 Wilshire Blvd., Suite 740, Los Angeles, CA 90025. Call our Costa Mesa office at (949) 631-2805. Located on 276 Victoria Street, Costa Mesa, CA 92660. The dangers of verbal modifications of child or spousal support. What are the advantages of collaborative law? Divorce privately with each party represented by a specially trained attorney. No court or judge, so you stay in control. Less stress on your family, a far more predictable outcome and less cost. Understanding California Community Property laws. Divorce like a Celebrity: Quickly and discretely. Some celebrities manage to keep their divorces outside the courts. Sure, they have to file paperwork to legalize their divorce, but we don’t hear about any courtroom drama.